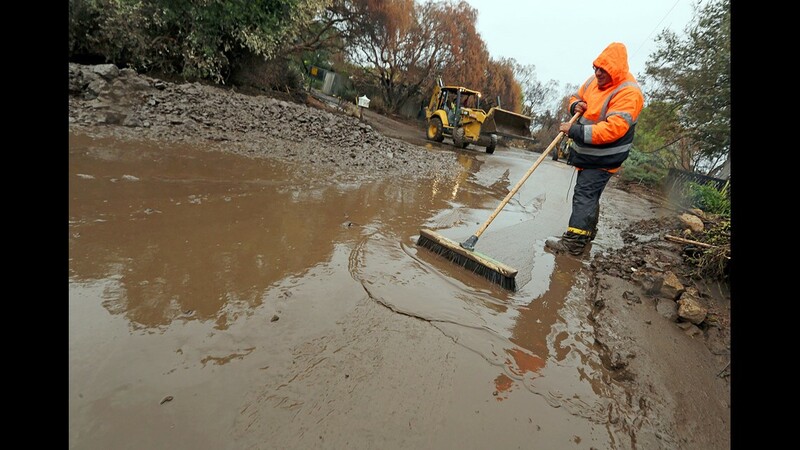 Rain and snow pelted southern California throughout the day Friday, leading to floods, mudslides and nightmarish traffic. The rain also caused a plane to skid off a wet runway at Hollywood Burbank Airport. Snow was confined to the higher elevations, forcing the closure of I-5, a major north-south route. 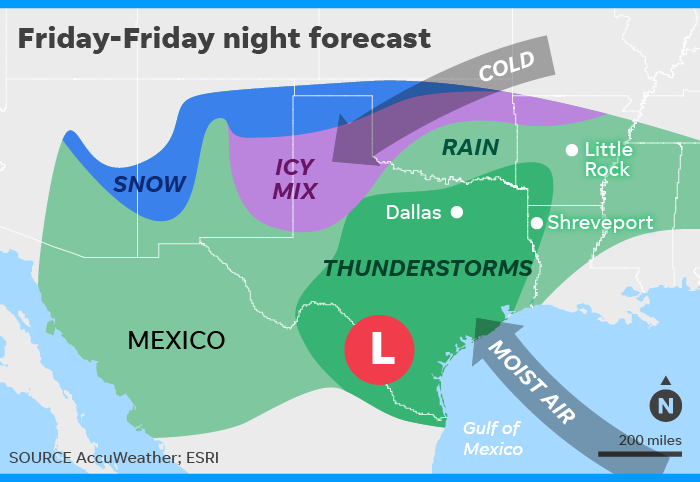 On Friday, the storm is forecast to ramp up in intensity as it moves across the southern U.S.: "Accumulating snow and ice appears likely from eastern New Mexico to western Oklahoma on Friday with snow totals of 4 to 8 inches, with locally higher amounts possible especially across the Texas Panhandle," weather service forecaster Allison Santorelli said. "A swath of potentially significant ice is also forecast from roughly Lubbock, Texas, to near Oklahoma City, with accumulations in excess of 0.10 to 0.25 inches possible," she added. The Weather Channel warned that the ice accumulations could cause extensive power outages and tree damage. 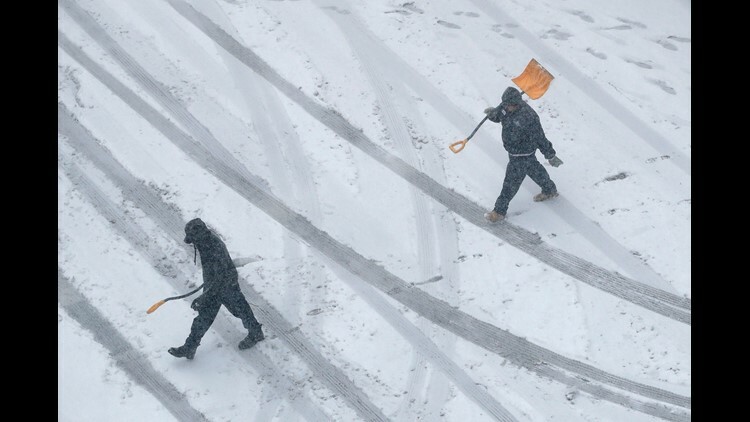 Workers carry snow shovels as snow falls on Nov. 25, 2018, in downtown Kansas City, Mo. Further to the south, very heavy rainfall and flooding will be a big threat with this storm, according to AccuWeather meteorologist Ryan Adamson. The heaviest rain and flood threat Friday is across southern Texas, where up to 10 inches of rain could swamp the flood-prone Houston area. A vehicle moves on Eucalyptus Street in Hesperia, Calif., after a winter storm covered the area Thursday, Dec. 6, 2018. 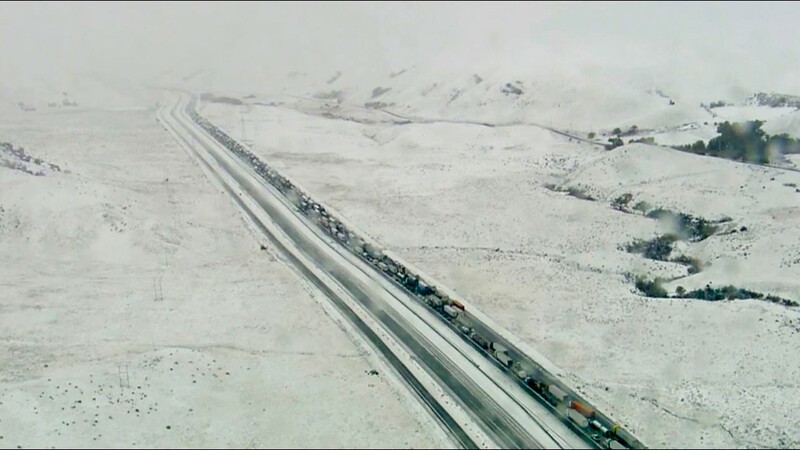 This aerial photo taken from video provided by KABC-TV shows traffic at a standstill on Interstate 5 near Gorman, Calif., early Thursday, Dec. 6, 2018. 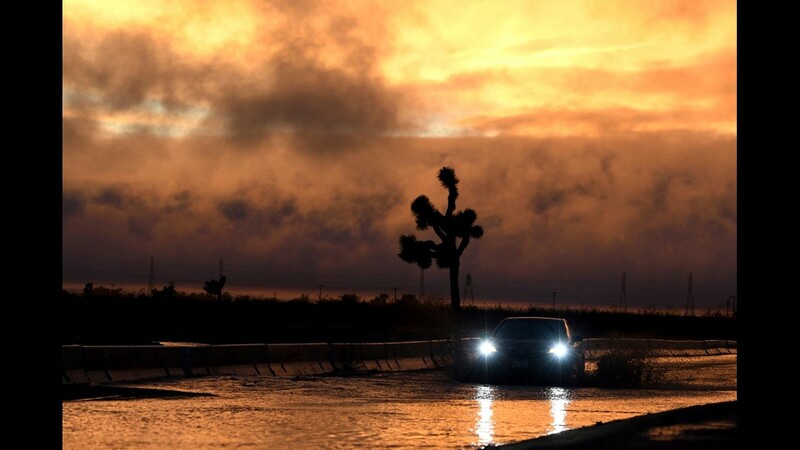 The second storm in a week brought record-breaking rainfall to parched Los Angeles on Thursday, jamming traffic on Southern California highways and prompting evacuations in wildfire-scarred areas. 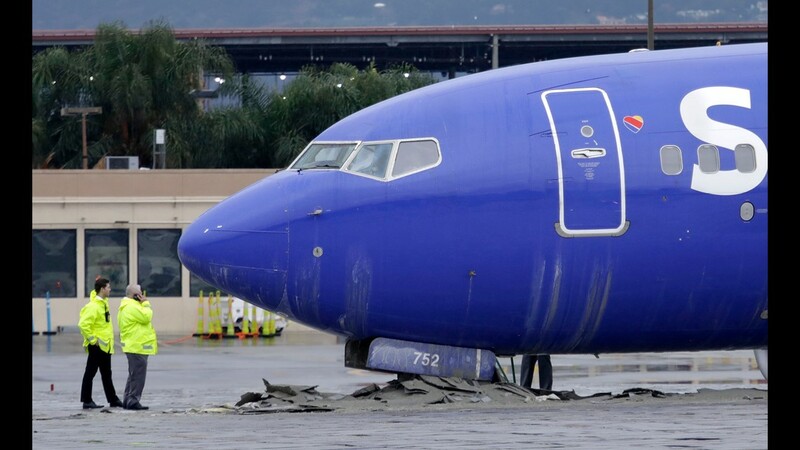 A Southwest Airlines plane slid off the runway at Hollywood Burbank Airport, coming to a stop after its landing gears plowed into a barrier designed to stop the airplane from leaving the runway Thursday, Dec. 6, 2018, in Burbank, Calif. Nobody was hurt when the plane from Oakland skidded off the wet runway as it landed during downpours at the airport north of Los Angeles. 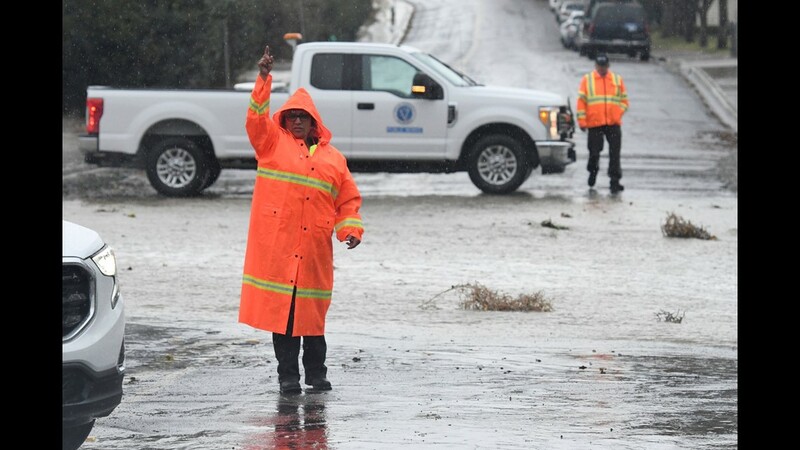 Victorville Public Works staff redirect traffic on Pebble Beach Drive as they closed the roadway due to flooding, Thursday, Dec. 6, 2018 in Victorville, Calif.
A pedestrian leaps across a flooded portion of the La Paz and Seventh Street intersection as a winter storm arrived, Thursday, Dec. 6, 2018 in Victorville, Calif.
A Kentucky Department of Transportation vehicle sprays salt brine on Highway 45 South near Wingo, Kentucky on Thursday, Dec. 6, 2018. There is potential for a winter storm to hit western Kentucky this weekend. The system is expected to move in late Saturday through Sunday and Monday, but the exact areas of impact and extent of those impacts are still in question. 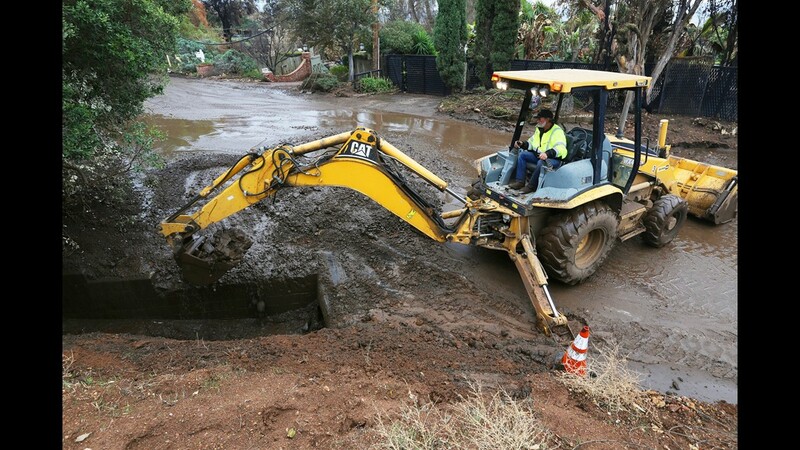 A Malibu Public Works crew clears a culvert that overflowed with mud and debris on Cuthbert Road in an area burned by the Woolsey fire in Malibu, Calif. Thursday, Dec. 6, 2018. 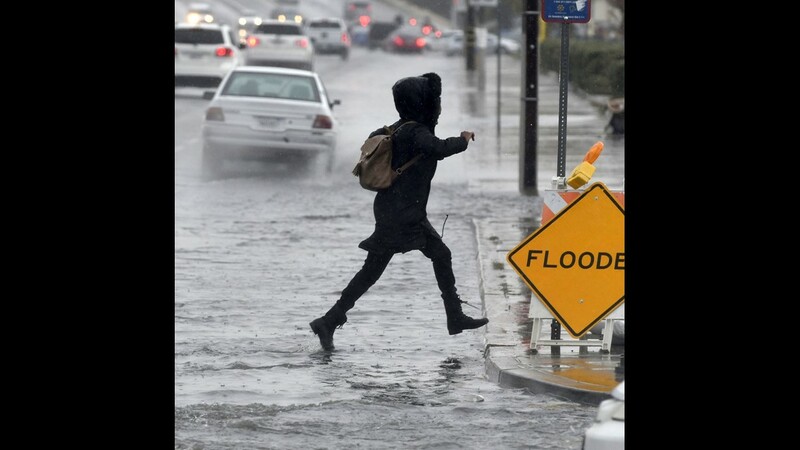 The second round of a fall storm is causing flooding on Los Angeles-area roads. Snow has forced the closure of Interstate 5 in the Grapevine area between LA and the San Joaquin Valley. Closer to sea level, the system dumped rain that flooded highways and caused nightmare traffic conditions for commuters. 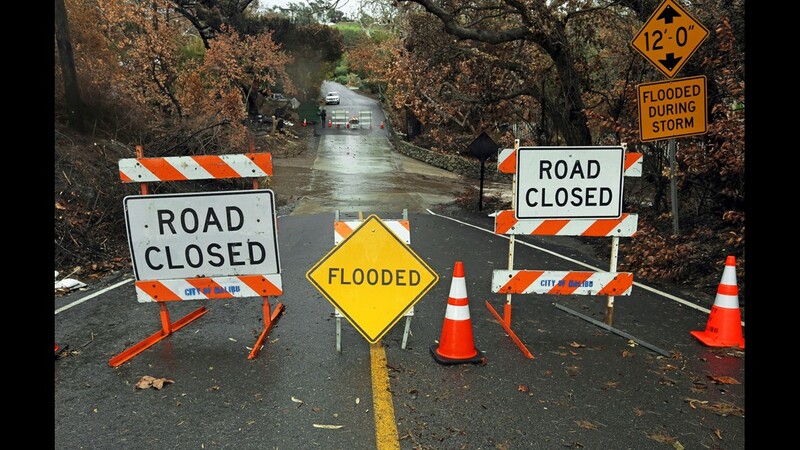 A road is closed due to flooding in an area burned by the Woolsey Fire in Malibu, Calif., Thursday, Dec. 6, 2018. A Malibu Public Works crew clears a culvert on that overflowed with mud and debris on Cuthbert Road in an area burned by the Woolsey fire in Malibu, Calif. Thursday, Dec. 6, 2018. 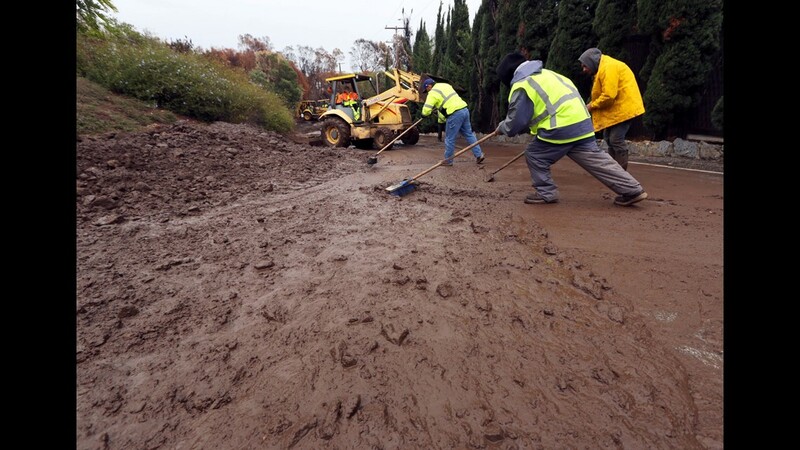 A Malibu Public Works crew clears a culvert that overflowed with mud and debris on Cuthbert Road in an area burned by the Woolsey fire in Malibu, Calif. Thursday, Dec. 6, 2018. 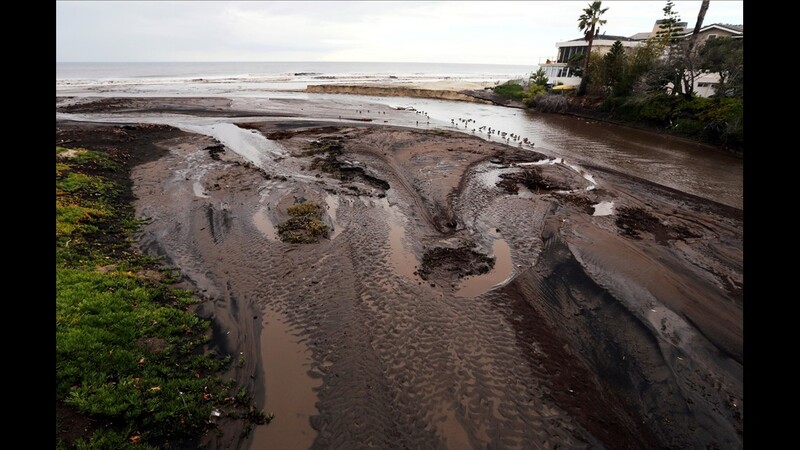 Mud and debris fill the outfall where Trancas Creek flows into the Pacific Ocean in an area burned by the Woolsey fire in Malibu, Calif. Thursday, Dec. 6, 2018. Some severe thunderstorms could also rumble through the region: “The greatest risk of severe weather that includes the possibility of a few isolated tornadoes is over portions of central and South Texas on Friday afternoon and evening,” AccuWeather meteorologist Alex Sosnowski said. By Saturday, the rain and flood threat will shift to most of the Deep South and Southeast. Along the northern edge of the storm, from Missouri to the Carolinas, more freezing rain and ice is likely. 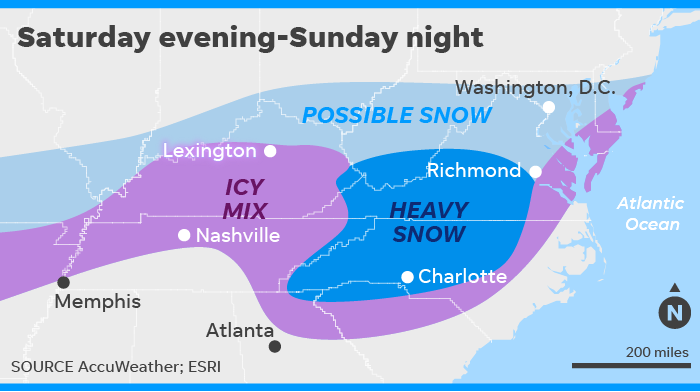 The storm could save its worst for last: Late Saturday and through the day Sunday, it's forecast to paste the central and southern Appalachians with heavy snow, potentially crippling the region. 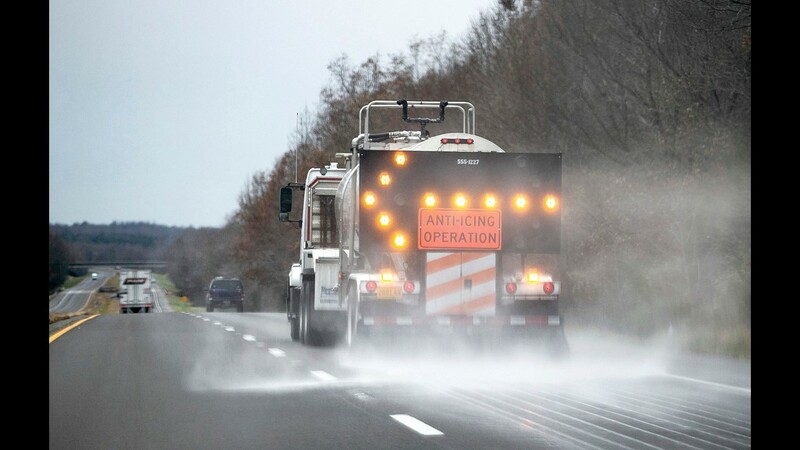 "From central and western North Carolina to parts of southern West Virginia and southwestern and south-central Virginia, this will be a major storm with the potential for a foot or more of snow," according to AccuWeather meteorologist Brian Wimer. Asheville, North Carolina, is forecast to pick up a foot of snow, which would place the storm on the city's list of biggest snowstorms on record. After blasting the South, the storm should finally move east and off the East Coast by Monday and Tuesday, with little to no impact expected for the big cities of the Mid-Atlantic and Northeast. However, that forecast could still change as more recent weather information is fed into the computer models that help predict storm paths. The Weather Channel has named the storm Winter Storm Diego.